MEF Asia recently hosted the ever-popular MEF Connects Singapore held during CommunicAsia where MEF members and business leaders from across the world met to share knowledge and do business. Here, General Manager for MEF Asia, Linda Ruck, shares the background to one of the most exciting mobile markets in the world, and her takeaways from the member event. With a population of almost 5.4 million, Singapore is a busy and exciting market with a this tech-savvy nation that enjoys a staggering mobile penetration rate of more than 148 percent and 8 million active mobile subscribers – split between the three mobile operators SingTel, StarHub and M1. Although Samsung is currently ranked as Asia’s top brand followed by Sony and Apple (as reported by Campaign Asia and Nielsen) the new kids on the block such as China’s Xiaomi have seen their debut smartphone sell out within two minutes in Singapore. Such is the consumer appetite for the latest gadgets – in Singapore, it’s not uncommon for residents to carry two or three smartphones. In June, Singapore hosted the largest technology event in the region CommunicAsia – where more than 33,000 delegates and 1,400 exhibitors showcase their latest tech products. The event was held in the world’s “most expensive building”, the luxurious Marina Bay Sands, with an adjoining conference attracting 900 attendees. This year’s keynotes included a focus on big data and a visionary address from Aliza Knox, Twitter’s Managing Director for APAC, as well as a host of leading thinkers and doers in innovation and technology. MEF Asia is a long-term supporter and collaborative partner of CommunicAsia having supported the show for the past four years to provide thought leadership content – this year we provided members with speaking opportunities on key topics such as mobile banking, marketing and social media. The MEF panel, moderated by MEF Asia Chairman Colin Miles, saw Telenor have a lively debate with the audience on the pros and cons of social media and how the Telco handles its brand in such a dynamic and fast paced environment as Bangkok. After two full days at CommunicAsia, MEF Asia hosted our celebratory networking MEF Connects Singapore event at the iconic Fullerton Hotel. Members came from as far as Australia, Bangladesh, Brazil, India, Israel, Spain and the USA as well as strong local support from Singapore and Malaysia. Sponsored by Empays Payment Systems and InternetQ member companies and VIP guests from across the mobile ecosytem mingled under the stunning Singapore skyline for some serious networking! Guests included Buongiorno, DTAC, Sprint, StarHub, SingTel, Telenor, Samsung and Apple, DBS Bank, MasterCard, Bloomberg, MediaBuzz, Telecom Asia, AirPush, Kimia, mBlox, MassiveImpact, vserv, VuMobile, Upstream, and Service Provider: F.Biz, Matthias & Associates, mig33 and many more! Ravi Rajagopalan, CEO of Empays Payment Systems was warmly greeted by the attendees and gave a fascinating overview of the India market, its fast evolving mobile money industry and doing business in one of the world’s largest mobile markets. He said: “The regulatory environment in India requires mobile money operators to behave like financial institutions and not like technology providers. It is here that the MEF can play a role, because MEF looks to build and create ecosystems around the mobile, and this aim is congruent with the way Empays operates in India”. A big thank you goes to Empays and InternetQ for making such a successful, engaging evening – we look forward to welcoming our members and guests to CommunicAsia 2015! 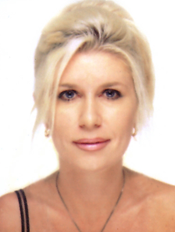 Linda Ruck is General Manager for MEF Asia, follow her on Twitter.